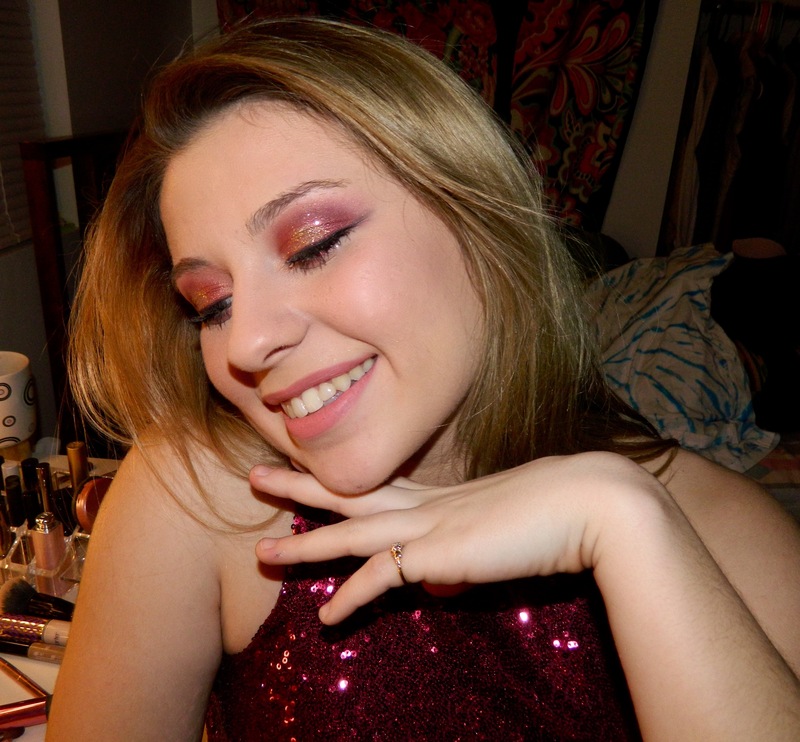 Makeup Monday: The Perfect Look For a Night Out | Grand Central Magazine | Your Campus. Your Story. Weekends are for having fun with your friends and relieving all the accumulated stress from your hectic school week. One of the best ways to do this is to get all your girls together to glam for the fun night ahead. Use this makeup look the next time you want to make a statement at a party or on the dance floor. Smoky eyes are a classic way to up your makeup game from the traditional school-day look. We put a little twist on the classic smoky eye by using warm tones and glitter. Using a matte foundation can ensure that your makeup won’t melt inside the hot and sweaty walls of Wayside. We used Milani’s Conceal and Perfect 2-in-1 foundation and concealer to achieve a flawless oil-free face. Break out those reds and oranges from your favorite eye makeup palette! 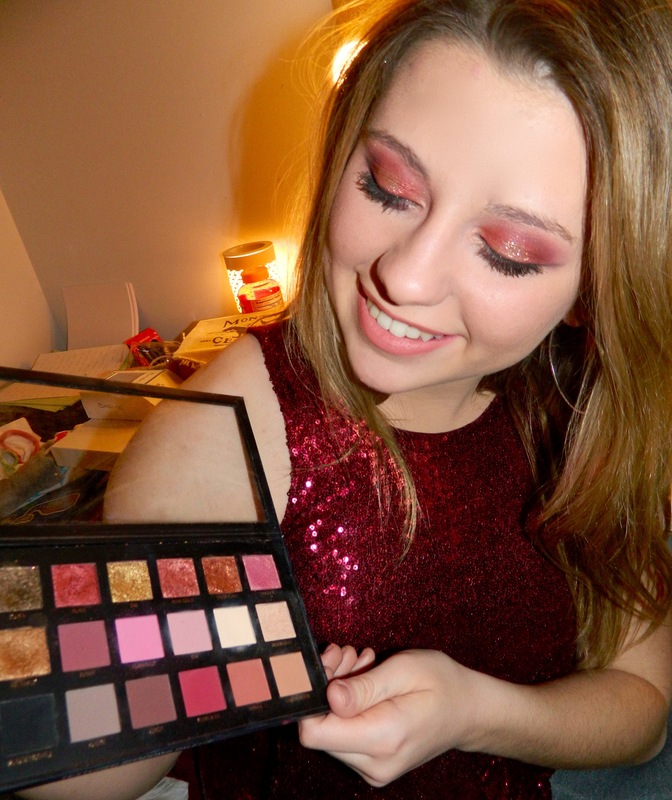 We used Huda Beauty’s Rose Gold Palette, which is excellent for both matte and glitter shades. Pack on gold sparkles and you’re guaranteed to shine in the middle of a crowded room. Separator image Posted in Beauty, Style, Style & Beauty and tagged with beauty, hannah kaske, makeup, Makeup Monday.